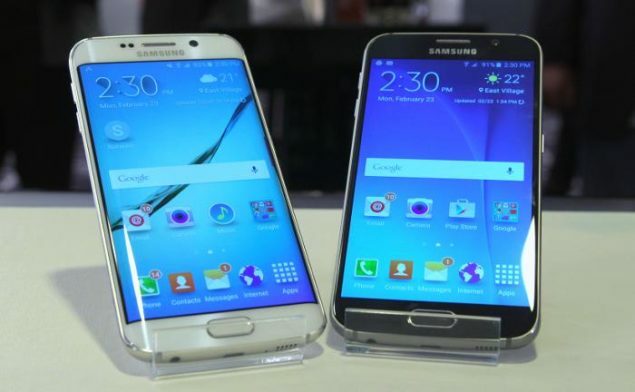 Samsung’s Galaxy S6 Duo launch this year came with its fair share of changes. The company’s parting of ways with Qualcomm’s was well reported throughout, as the Snapdragon 810 came to suffer some very severe throttling issues. The Korean manufacturer also chose to launch its flagship devices with an all metal unibody, combined with an all new curved display for the first time. This, coupled with the Exynos 7420, Samsung’s very own, in-house SoC manufactured on the 14nm FinFET made the Galaxy S6 Duo a near perfect combination. Well, fresh reports have started to surface about the Galaxy S7, an they hint at a changing of things over at Samsung. Well, some fresh reports have started to come in from Samsung’s home country, and they claim that the divide between Samsung and Qualcomm might not be all that permanent. We’ve been seeing several leaks over the Galaxy S6 Edge Plus over the past couple of months, and Samsung’s latest edition to its flagship set of devices is expected to come with Qualcomm’s Snapdragon 808. And if today’s information is correct, then the next iteration in the Galaxy flagship smartphone series might follow the same formula devices before the S6 have as well. As we’d expect Samsung to start planning towards its next year’s flagship from now, the Korean smartphone giant has already started to test a variety of processors for the Galaxy S7. And Qualcomm’s offerings are included in this as well, with Samsung also testing units with an Exynos variant on board. If test go smoothly, which was not the case on this year’s Galaxy S6 Duo, then we might get to see the Snadpdragon roar in a Samsung Galaxy flagship once again. Its some interesting speculation nonetheless. Stay tuned and let us know what you think in the comments section below.